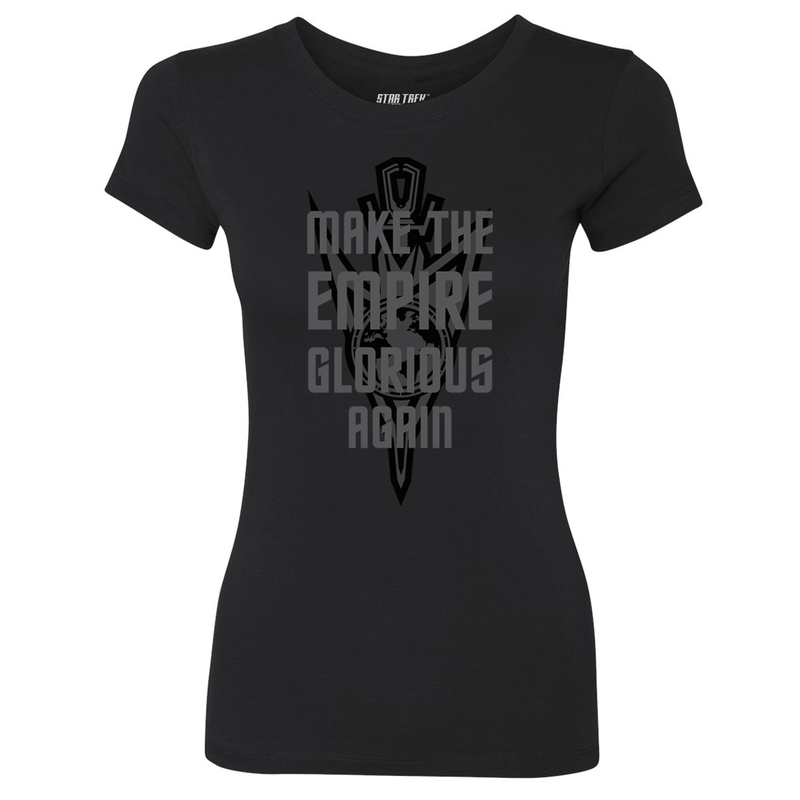 Trying to over throw Phillipa Georgiou in the Mirror Universe, Lorca says, "Make the Empire Glorious Again." 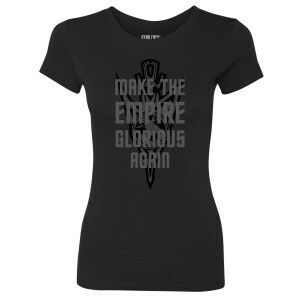 Get the Star Trek Discovery Make the Empire Glorious Again Women's T-Shirt. This 100% cotton t-shirt is great for any fan of the show.